1. What is BuildingCircles™ Organization? 2. What are our resouces and expertise? 3. What about social readiness for advanced housing? 5. Why should these dwellings be integrated into the landscape? 6. Will making the buildings nature-integrated make the interiors dark? 7. Are these structures energy efficient? 8. What are some BuildingCircles’ choices for materials? 9. How do BCO's new designs compare with similar alternative housing? 10. From a global perspective, why make changes in how housing is built? 11. What is an Accessory Dwelling Unit (ADU)? BuildingCircles™ Organization on Vashon-Maury Island (VMI), Washington will help landowners build adult communities to achieve affordable, safe, and comfortable independent living using BuildingCircles community home designs. We will facilitate these residential communities based on affordable, AdvancedGreen, and nature-integrated housing. We have a particular interest in creating adult communities now that will be viable in the future as we "age in place." 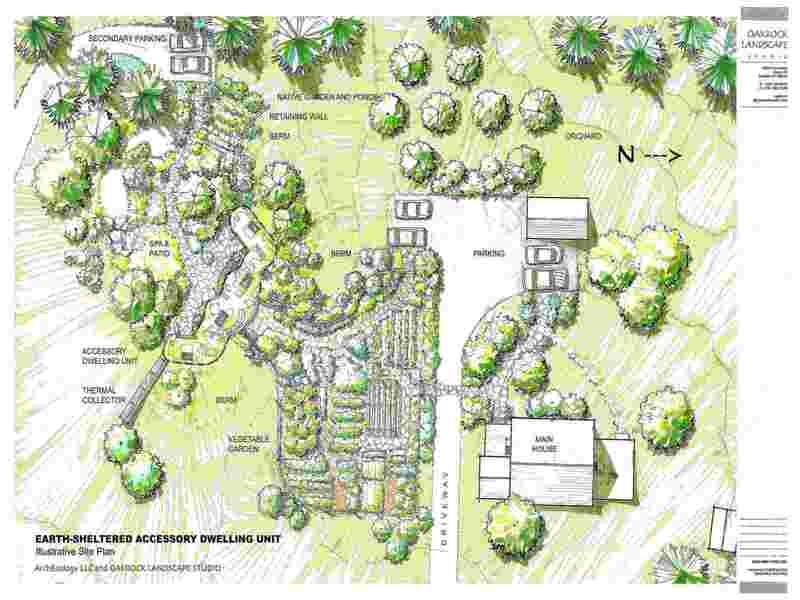 These projects will demonstrate that intentional community building, using universal design, will serve individuals with special needs of all ages and will result in stronger communities for society. BuildingCircles Organization is seeking landowners with vision who are excited by this earth-friendly and people-friendly project. One landowner option is to lease long-term to an organization that manages these rental homes. This could provide revenue while preserving the land for future generations. Another option is to use BuildingCircles design ideas to help landowners build primary residences or income-producing Accessory Dwelling Units. Ultimately, with motivated people, available land, and community support, a comprehensive cooperative community could be built. The affinity-based community we envision will be based on a commitment to mutual support for aging in place and environmentally and human-friendly land planning, structures, and relationships. Robert Bornn has a longstanding history of environmental and shelter design for alternative communities beginning in the 60's with an alternative residential artist community on an island in Maine. He published the early 70's journal, Island Quarterly and was inspired by neighboring islander, Buckminster Fuller. Robert Bornn and Laura Worth have moir? than 25 years experience in organizational management, having raised more than $3.5 million to finance their projects. They have extensive experience building small teams of motivated and expert professionals dedicated to significant projects like medical electronic devices for the sleep industry and the special needs community. They have managed R?D and designed and managed the clinical research of Robert’s medical device inventions at UCSF and Stanford University. They obtained FDA permission to market their devices. They are seasoned in joint ventures and product licensing. Management will contract with qualified organizations for development and construction of energy efficient, nature-integrated homes utilizing universal design. Nancy Henderson, AIA, LEED, AP founded ArchEcology out of a passion for housing and sustainable design. She has over 13 years experience most of which has been focused on multi-family and mixed use developments. While at GGLO she chaired the Sustainable Design group for five years. During that time she lead in-house education efforts which resulted in a third of the office becoming LEED accredited, adoption of an Environmental Policy, and development of an Environmental Management Plan. Projects pursuing LEED certification went from one in 2001 to more than 15 in 2006. She also founded the Affordable Housing Action Team to develop a focused expertise in the office to specifically address the unique needs of affordable housing. A new convergence of financial, social, and political interests will provide future financing: "New Financing Strategies for Next Generation Green Homes" by Robert Bornn, published as a guest editorial in Builder/Architect magazine, February 2010). The coming "silver tsunami" is both a challenge and an opportunity: "The Other Health Care Crisis -- America's Elderly" by Martha Stewart in the Huffington Post. 4. What will the homes look like? These custom-designed, nature-integrated homes can look and feel to your liking. Only your imagination can limit the possibilities. 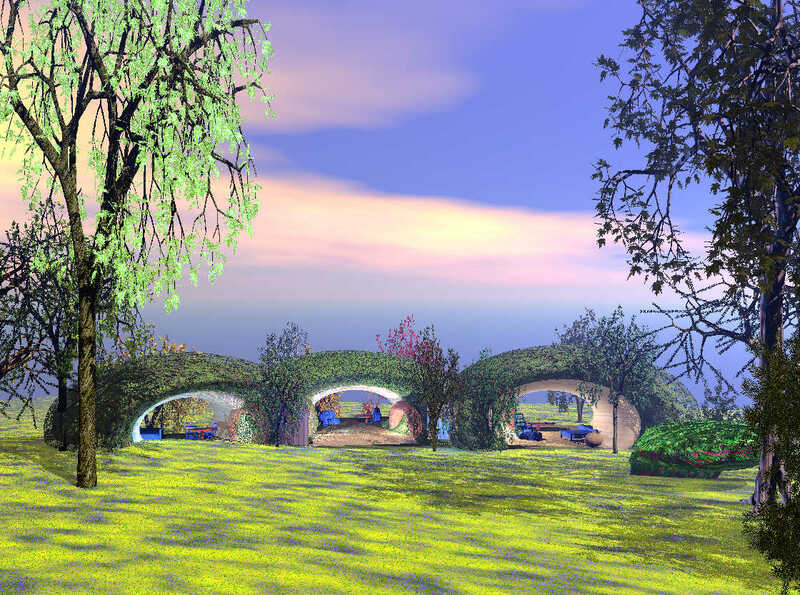 The homes appear to “grow” naturally out of the ground. Gentle contours and landscaped earth-berming rise to the lower sills of recessed windows. In between the windows and doors the ground will contour gently to the living roof, blending with nature. In turn the eaves can support vegetation (i.e. vines or other climbing plants) which descend down to the top sill of windows and doors. Although the homes are sheltered by earth and vegetation, their "above grade" siting will permit abundant light through windows and skylights. Floor, walls, and roof all flow together for one contiguous, curvilinear, exceptionally strong, monocot structure. Conventional dome construction can limit liveable space if the dome shape is a hemisphere. 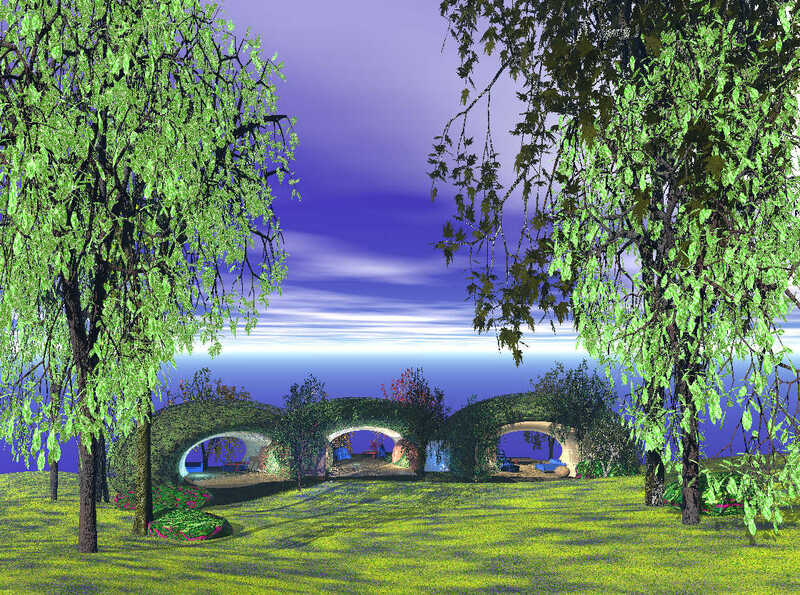 Our BuildingCircles curvilinear designs extend the livable space associated with conventional domes by curving out with two-thirds of the sphere extending above-grade -- like a pumpkin nestled only one-third into the earth. 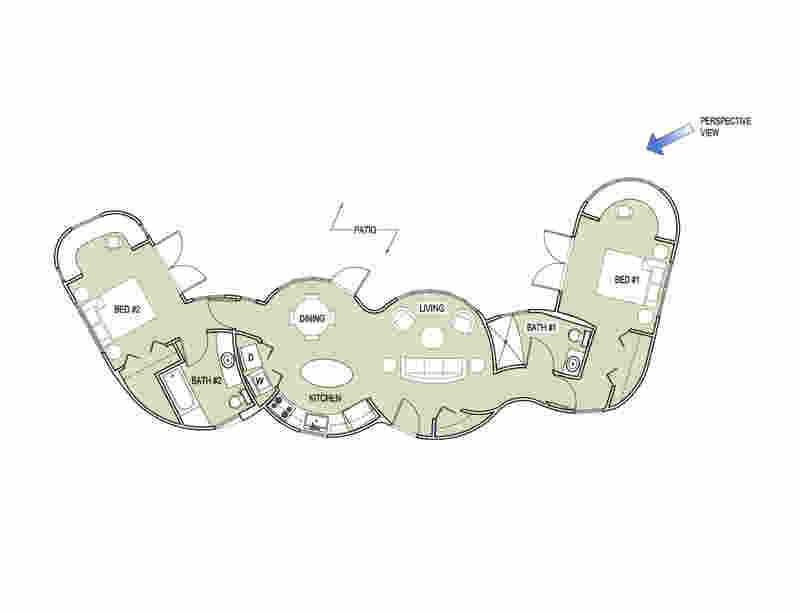 The remaining lower one-third sphere is usable storage space (see illustration of shapes below.) Pop-out bay windows, window seats, and storage cupboards can also be added, extending out beyond the conventional floor space. Comparison Between a "Hemi-Dome" and a "Pumpkin Dome"
Individual choice of landscaping, stonework facades, doors, windows, decks, and courtyards will make each home a unique expression of the owner's taste. The interiors will also reflect owner choices for maximum comfort, style, and sustainability. A more aesthetically ballanced, healthy and harmonious reconnection to the earth. Better use of hillsides for dwellings and terraced food production, freeing valuable flat land for larger scale agriculture. Local energy and food producing technologies. Decreased dependency upon distant centralized power production. No, these buildings can be varied in orientation and have large glazed areas (windows), doors, skylights, light-tubes, courtyards, and a variety of conventional and innovative lighting. Nature integration can be achieved with a combination of landscaping, contouring, and a certain amount of earth-sheltering. This can provide a buffer for the insulation on the outside of the walls and on the roof. Insulated shutters can provide for protection during severe storms and insulated curtains can help retain warmth at night. 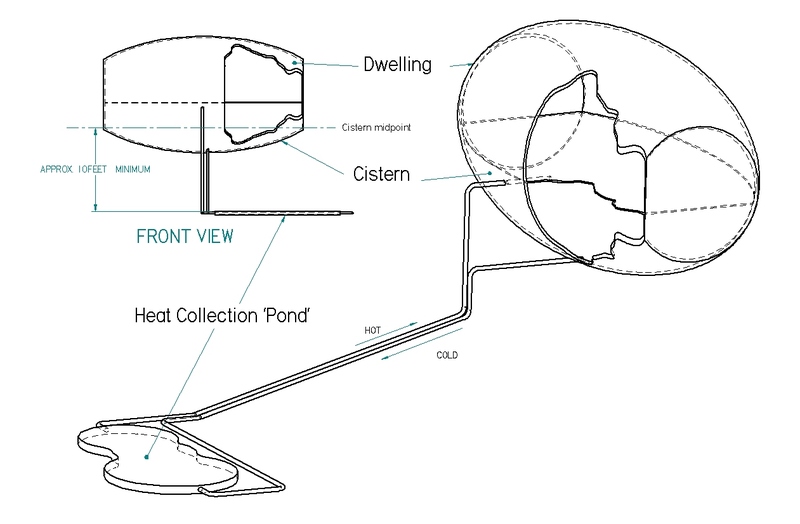 A premise behind the design philosophy of BuildingCircles is that basic shelter should contribute toward its own internal heating and cooling. It should be supported by annual solar heat storage and other alternative, non-carbon dioxide producing energy systems. 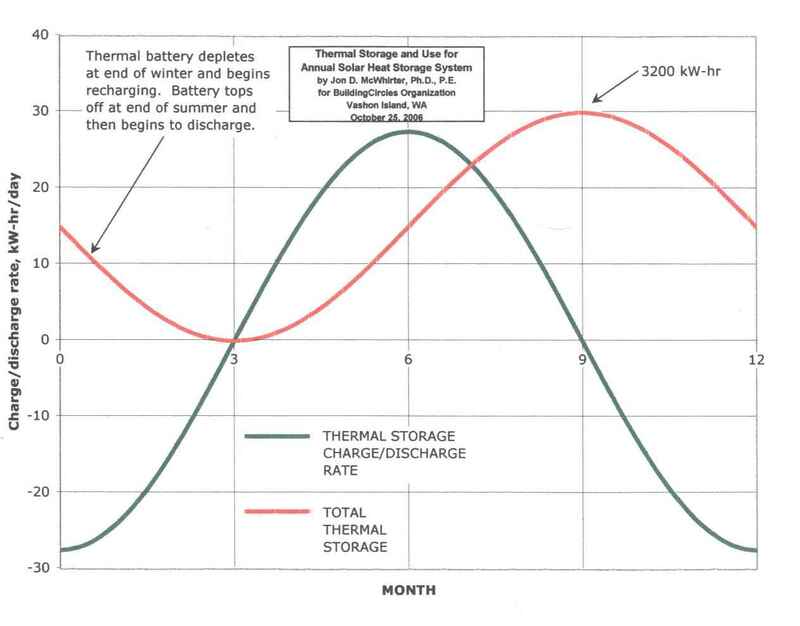 Relatively large amounts of thermal energy can be derived from daily solar gain and stored seasonally in the ground for interior and hot water heating. The maximization of this solar gain may best be achieved by utilizing landscape-integrated buildings. Additionally, the single most effective method for conserving energy from the start is with sufficient high quality insulation. A portion of heating and cooling can also be achieved with the use of a buried (4'-6') "ground loop" circulating 50? ? F. water. * SolarHarvester is the BCO system for collecting solar heat and storing it in an insulated water, ground, or rock medium. BuildingCircles will use spray technology (hemcrete or similar renewable material with concrete) over recycled steel to construct unusually strong ferrocement structures. Additionally, sustainable insulative material will be sprayed over the shotcrete. LED lighting (for safer, long-lasting light bulbs), increasingly more affordable (see the op-ed,"A Brighter Future Minus the Mercury"). 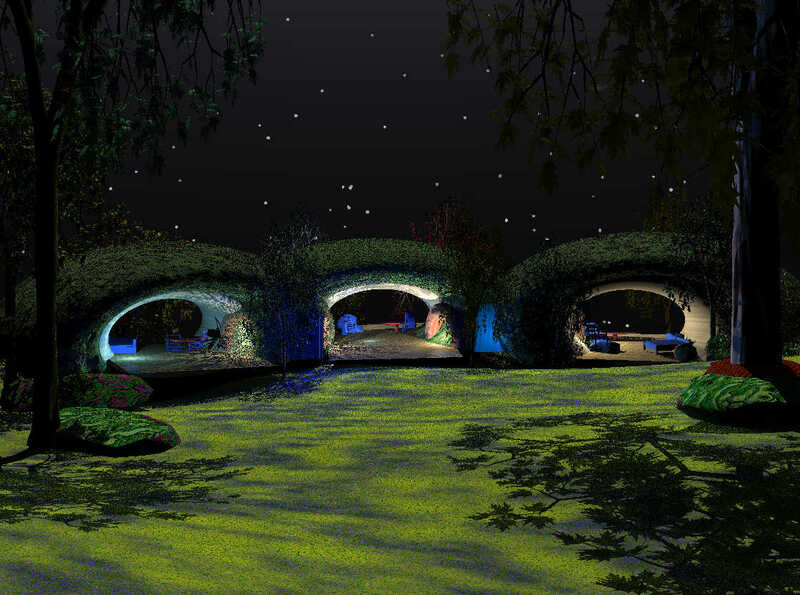 The homes will be nature-integrated, restoring much of the “footprint” of each building to the ecosystem. 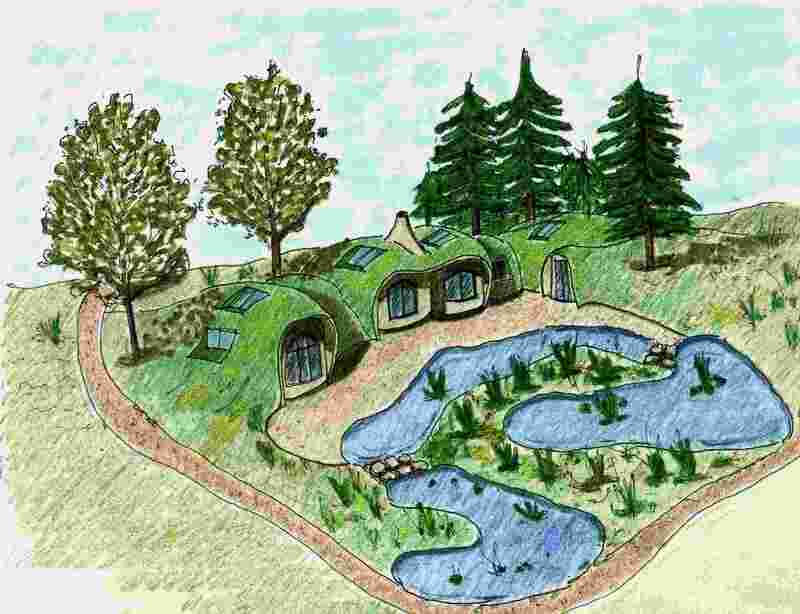 These houses will result in durable, vermin- and fire-resistant structures, capable of supporting living roofs and requiring minimal external energy supply. How do BCO's designs compare with other earth-sheltered or nature-integrated homes with respect to structural integrity, humidity and temperature control, natural lighting, and mold, vermin, and insect control? How do BCO designs compare to other commercially available concrete dome housing? BCO homes will be built above-grade. They will be structurally engineered to meet building code standards for fire and earthquake resistance as well as other structural requirements. They are designed to prevent mold, vermin, and insect infiltration. Well-designed ventilation will maintain the necessary internal air pressure that will achieve optimal airflow without drafts. The unique BCO system, Solar Harvester, for annual solar heating and ground-loop cooling will ensure year-round temperature control without the erratic overheating associated with many passive solar heating systems. Modern ferrocement can be designed and built to improve water resistance and advanced environmental technical design will ensure optimal soil drainage. Aesthetically and functionally enhancing pre-existing wetlands, or newly constructing them, will help manage storm water runoff. Conventional above-grade glazing will provide ample natural light using highly energy-efficient, thermal-glass components. Skylights and light-tubes can also be included according to owner preferences. Above-Grade Dome Housing: Unlike some above-grade dome housing, BCO homes can appear to “grow” naturally out of the landscape without rigid, bunker-like, geometric shapes. The concrete structure need not be visible at all unless an owner specifies it for some portion of the home. Natural rock facing can complete the exteriors. Straw Bale: Although seemingly "green," stucco-covered straw bale, used for insulation, is not sustainable. It is subject to micro-cracks that admit moisture, mold, and bacteria with growth that finds an optimal environment in the straw. Cob: While some ancient cob housing remains after centuries, most has long since succumbed to earthquake, flood, and other natural forces. The recent devastation in Pakistan's earthquake was an example of cob's limitations for human habitat. Across a variety of regions, world cultures, and demographics people need more affordable housing. Conventional houses in developed and developing nations alike are expensive to build and expensive to maintain. Conventional buildings are subject to damage from earthquake, fire, and vermin. The footprints of conventional buildings keep reducing the surrounding ecosystem viability. A continuous increase in CO2 and related emissions can -- and must -- be reversed. Of global concern, it is estimated that one-third, or more than 2 billion of the world’s people, are living today in significantly substandard housing. If uncorrected these slum/shantytown residents will increase to 6 billion people, or two-thirds of the then world’s people, in 20 years. Virtually all substantial population growth is expected to occur in developing nations with the highest percentage having either no housing or inadequate housing. As the number of people escalates, efficient use of energy, water, and land for human shelter and agriculture will increase in importance to the point where global security will depend on the fair distribution of life-sustaining resources. King County, Washington provides code to guide homeowners in building "Accessory Dwelling Units," balancing the legal resolution of issues that relate to the need for increased population density in rural areas while still achieving GMA compliance. King County provides code to guide homeowners in balancing the legal resolution of issues that relate to the need for increased population density in rural areas while still achieving GMA compliance. (1) There is only one primary single detached dwelling unit. (2) The rural lot is not less than minimum size for one primary dwelling unit. (3) The primary dwelling unit or the accessory dwelling unit is owner occupied. (4) One of the dwelling units shall not exceed a floor area of one thousand square feet. (5) One additional off-street parking space shall be provided. (6) The accessory dwelling unit shall be converted to another permitted use or shall be removed if one of the dwelling units ceases to be owner occupied. could provide ADU rental income to cover construction costs and/or property taxes, (while the owner lives in the primary residence). could later provide an ideal home for aging in place (with the primary residence rented for income or used by a caregiver). could create a financial buffer from increasing tax, property maintenance expenses, and energy costs. could be converted for assisted living residency as the owner ages. could limit premature nursing home costs (for each year of home care residency in the ADU that eliminates premature nursing home care, $50,000 on average could, instead, be used for housing). * A new convergence of financial, social, and political interests will provide future financing: "New Financing Strategies for Next Generation Green Homes" by Robert Bornn, Builder/Architect magazine, February 2010). * "New Spin on Small-Home Trend Creates Big Design/Build Opportunities" by Robert Bornn, Builder/Architect magazine, April 2010. 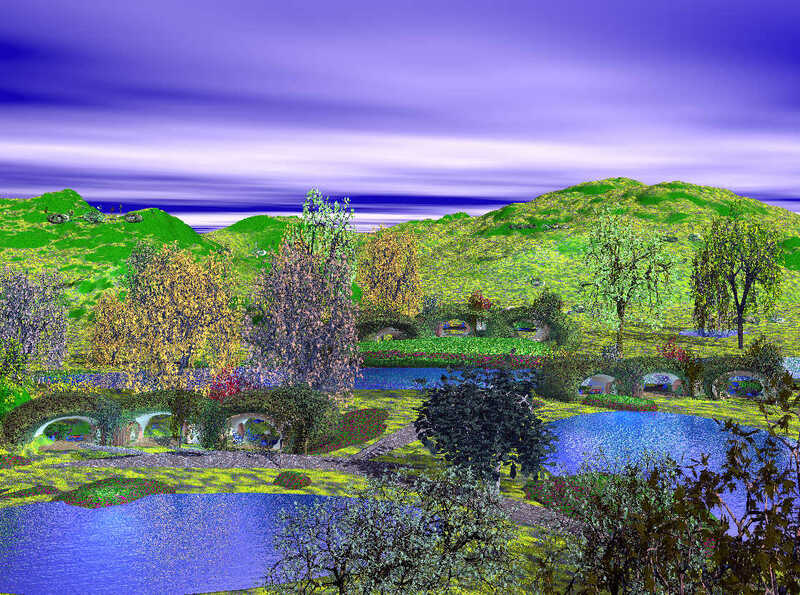 * "Visionary Islander Leases Land for 100-year Green Legacy Community (A Headline We'd All Like to See)" by Robert Bornn, The Loop, May 2010. * The coming "silver tsunami" is both a challenge and an opportunity: "The Other Health Care Crisis -- America's Elderly" by Martha Stewart in the Huffington Post. For this project BuildingCircles Organization will partner with individuals who own land and live in a primary residence on a sufficiently large property to meet zoning requirements for adding an ADU; or we will partner with individuals to build a downsized second home on another property. 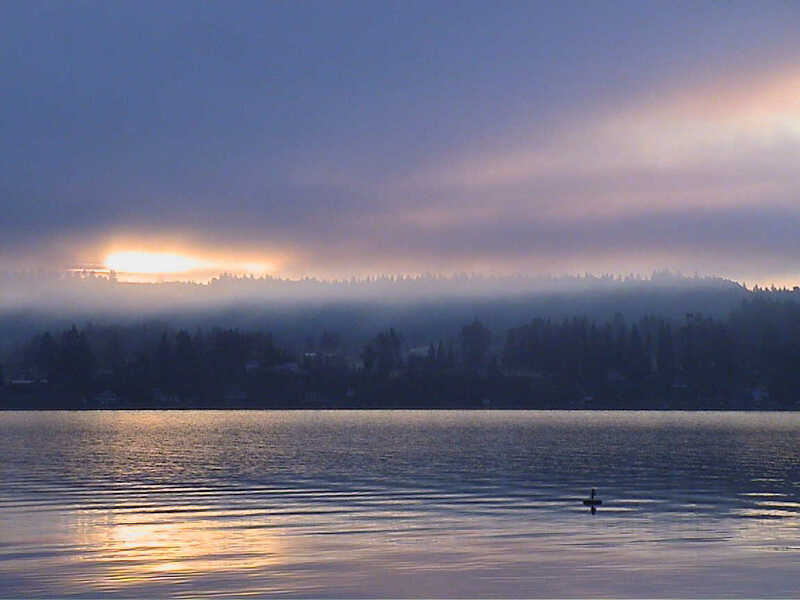 Other Washington State and King County permitting requirements, such as those related to water use, water run-off, and waste disposal are site-specific and can be discussed in personal consultation. The BCO development team is commited to working in concert with the many permitting authorities to achieve shared environmental goals. Participation in King County's Green Building Program can lead to assignment of a no-cost, hands-on County project planner. They can advocate for us in managing the permitting process, including analysis of tradeoffs between current site limitations and environmentally sound mitigation. 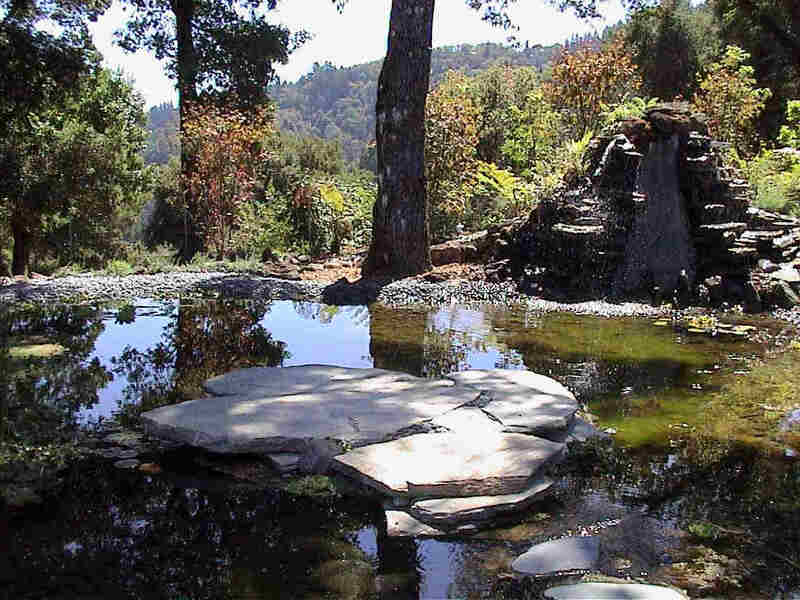 We will help our clients organize the planning, financing, and construction of an affordable, sustainable, nature-integrated BuildingCircles home utilizing universal design that is conducive to independent living. This FAQ is for educational purposes only. It is not a substitute for professional consultation. No claim is made or implied that the ideas and inventions herein are applicable to any other manufactured housing, building, or land use project. Nor do they represent in any way consulting services of any kind. Nothing herein is an offer to sell, transfer, license, or permit the use of any proprietary method or technology described herein. Nor should anything herein be construed as an offer to buy, sell, or transfer securities. Relevant information will be provided upon request. independent living are trademarks of Robert Bornn and Laura Worth.